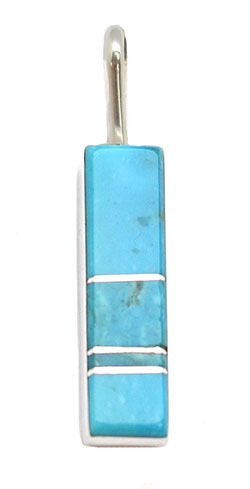 Small sterling silver pendant with sections of turquoise inlay. It measures approximately 1 1/8" long including bail by 3/16" wide. It is Navajo hand made by Fredrick and or Marilyn Yazzie. Inlay patterns and color shades will vary.